The rise of software licensing in networking changes some of my assumptions about the 5 year cost of ownership of products. Roughly, lets assume that you are buying virtual appliances like firewalls, DNS/DHCP, IDS/IPS, proxy servers and load balancers and that you pay some type of yearly license to use the product. 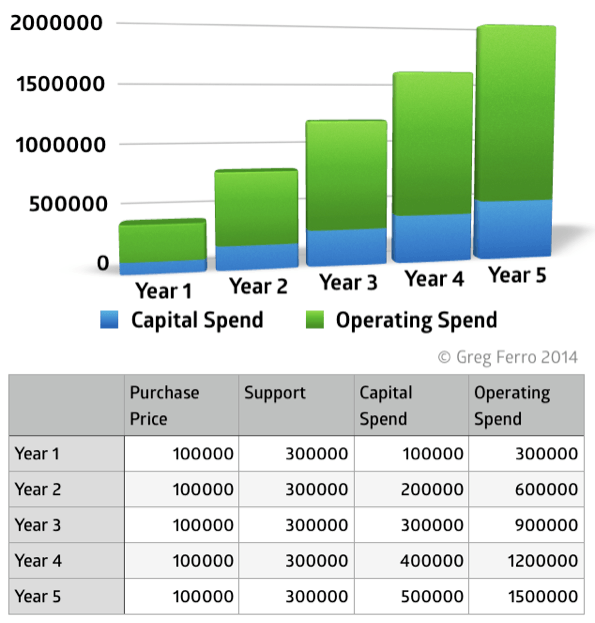 The legacy model is that customers pay the full capital value of assets prior to deployment. Lets say that you purchase $1MM of hardware devices/assets and, based on the typical maintenance contract of today, you can expect to pay 20% of the purchase price for software and hardware maintenance. After five years you will have spent a total of $2MM on hardware and sofware maintenance for those devices. Fairly typical of the current business models offered by vendors today. Consider a software licensing program for virtual appliances. Lets assume that $100K is needed to provide virtualization hypervisors to provide VMs and that cost stays consistent each year. 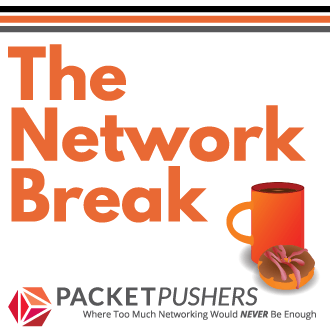 Then licenses for a firewall / proxy / load balancer are purchased on a subscription basis. My rule-of-thumb is that licenses are about 50% more than on current hardware/software maintenance/support contracts. 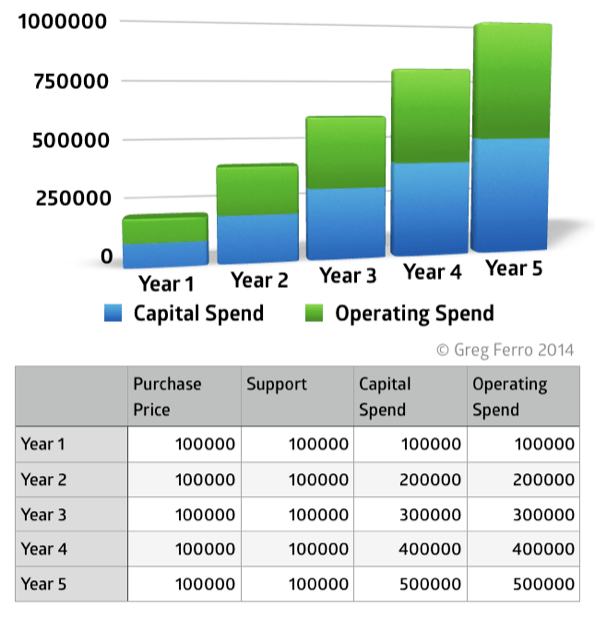 Simple software licenses are going to around $300K per year and over five years the total spend is the same as the capital purchase. When you commit to hardware purchase, the entire risk of generating a return on that investment is left with the customer. Once the purchase order is cut and the goods hit the dock, the customer must extract value from the asset for the project life, typically 5 years. In short, you “advance” $1.2MM in the first year to your vendor before your company can make revenue. With a software licensing model, only the initial year of the license is a commitment and subsequent years can be terminated if the assets doesn’t “pay off”. In this model, the assumptions result in the vendor making the same revenue for the virtual appliance license as for hardware. Its my view that software products cost vastly less than than hardware to produce, manufacture, warehouse/inventory and than the maintenance costs is also reduced by a significant amount since the cost of spare parts inventory and management no longer applies. Sure, developing good quality software is expensive but hardware is much more expensive proposition. If you agree with this statement, then we could annual license & support fee should be half of the current purchase of hardware assets to reflect the cheaper costs of good manufactured and sold. In this model, the 5-year price would be half of the previous model with a total cost of £1MM over 5 years. In this article I’m considering how much a license should cost for a virtual appliance compared to a hardware appliance. Company owners will expect the top line revenue to increase and could also wish for profits to increase and the second option is what vendors will offer customers first. But the second option reflects the underlying value of the product, where the customer is responsible for the virtualization platform, storage, compute and networking that will power the virtual appliances and could reasonably expect the price for firewall service to decrease. 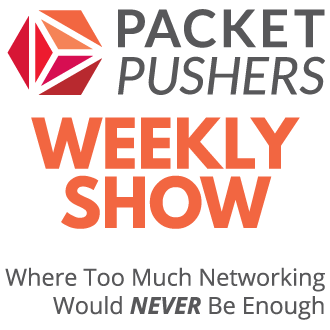 It will be interesting to see what customers are willing to pay in the years ahead as the transition from custom hardware to commodity virtualization for network appliances continues. Good stuff Greg. Thought provoking. This is a great conversation to start in the industry. Does your analysis assume zero capital cost for the hardware that the virtual appliances run on? Clearly the hardware COGS to the vendor is zero, but it’s part of the buyer’s TCO. This could imply even more vendor cost shifted to buyer and reinforce your argument for lower license fees. Although the vendors don’t switch to the license model to reduce revenue :). They could sell S/W with up-front + maintenance model but seek to smooth revenue and create an annuity. Great article. Some leases may require a multi-year commitment in order to get lower pricing. There is also the cost of the hardware to run the VMs that needs to be factored in I”m sure that vendors will figure out how to get the most money they can from customers even if the vendor’s costs have dropped significantly. Vendors always pass costs on to customers but the same isn’t true when it comes to savings. It usually takes a vendor that is willing to disrupt the status quo. You forgot to account for Average Cost of Capital, that will always yield that a $1 of outflow next year is much less than a $1 outflow today… Given than the Average Cost of Capital isn’t lower than 8% for S&P 500 Companies in 2014, it will make a significant difference in today’s equivalent dollars when you discount the cash flows at the given rate over that 5 year period. besides you don’t tight up your cash reserves in Capex (with low resale value thus high risk in case you have to downsize the investment) that would put depending uppward pressure on the marginal cost of financing thus increasing, ceteris paribus, the Average Cost of Capital for the Company and which would raise of obtaining funds from the stock market as the return required by investors would be higher than otherwise. As you can see the question if it’s more attractive a hardware vs a Software License model; if the investment is large, may have more edges than may appear at first sight. I didn’t do this type of analysis since it is isn’t used in most companies. 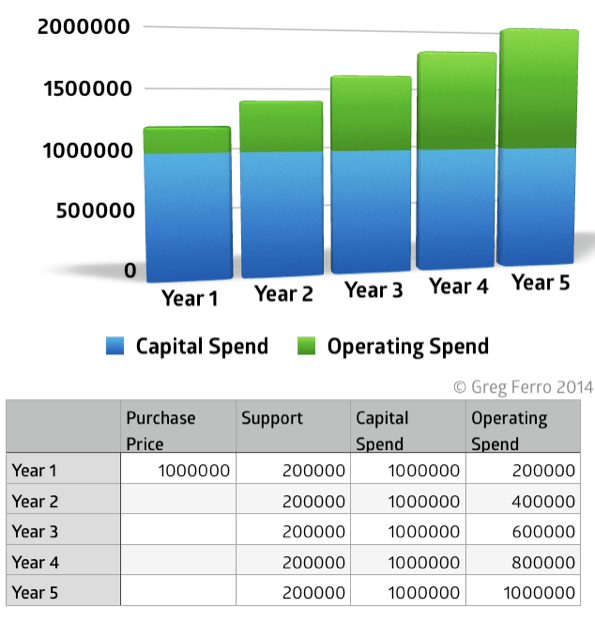 IT budgets are a yearly spend and consideration of capital spend at this level is rare in the extreme. If not used, they should and even more when making choices between different investment/spending decision in a Business, otherwise suboptimal solutions will be achieved. Each year spending and investment in IT takes a higher share of nonproductive spending/investment in Business. CFO should start paying more attention to what their IT and CIO are actually doing with the monies they demand or are assigned.